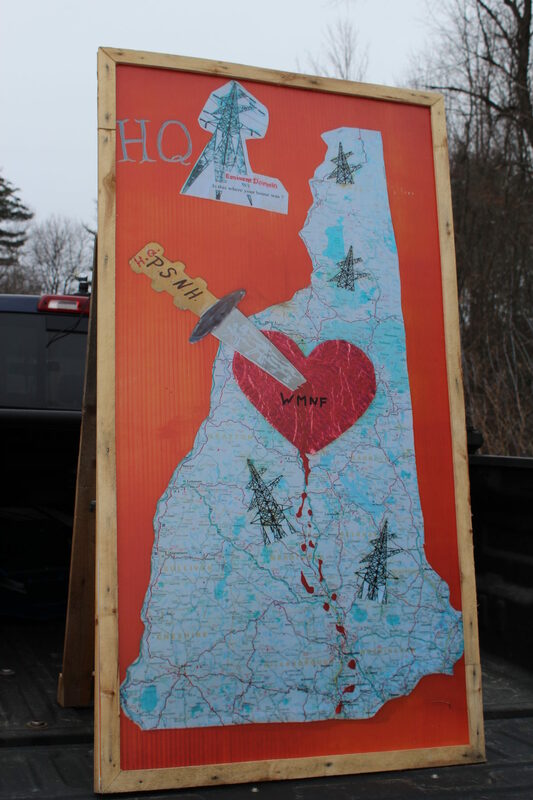 Sign out front of 49 Donovan St., Concord, last month where hearings were held on Northern Pass. CONCORD — No decision was announced late Tuesday night as Massachusetts electric distribution companies had a midnight deadline to decide whether to continue negotiating with Northern Pass or Central Maine Power’s New England Clean Energy Connect. One of the three major distribution companies in Massachusetts is Eversource, which is also Northern Pass’s developer. The others are National Grid, which submitted its own proposal for the Massachusetts Clean Energy Project, and Unitil. Originally, Massachusetts energy officials named Northern Pass as the only one of 46 bidders to begin negotiations with the distributors, but within a week, the New Hampshire Site Evaluation Committee denied Northern Pass’s application saying the 192-mile, $1.6 billion, 1,090 megawatt project would interfere with the orderly development of the region, impacting businesses, tourism and home values. After that decision, the Massachusetts clean energy bid selection committee decided to continue with Northern Pass, but to also negotiate with Central Maine Power. The distributors had the right to end negotiations with Northern Pass at any time before Tuesday’s deadline. Both projects would provide about 1,200 megawatts of Hydro-Quebec power to Massachusetts to help meet its clean energy goals. A law was passed two years ago to encourage the development of renewable energy in the Bay State. After the Site Evaluation Committee rejected Northern Pass’s application, company officials asked the SEC to vacate its decision denying the application and resume deliberations on the project. Two weeks ago, the SEC instead suspended its oral decision to deny the project and reiterated it would issue its written decision by the end of the month. Without an oral decision, Eversource is not be able to ask for reconsideration. Once the written decision is issued, Northern Pass and intervenors will have 30 days to ask the SEC to reconsider its decision. After a motion is filed, intervenors will have 10 days to file objections to Northern Pass’s motion for reconsideration. The SEC would meet in a week or two after that to rule on the motion. The timeline puts any decision by the SEC into the middle of May. The negotiated contracts with the Massachusetts distribution utilities will be presented April 25 to the Massachusetts Department of Public Utilities for final approval. If the SEC denies the motion to reconsider the project, Eversource has said it would appeal the decision to the state Supreme Court, a process that would take at least a year. Northern Pass officials have said they believe the company could meet the 2020 operational deadline even if they appeal the decision. Northern Pass was proposed in 2010 when natural gas prices drove electric prices higher. Since that time the price of natural gas and electricity has dropped but increased this winter with the cold weather.